Nothing changes if nothing changes might sound obvious, but it really is as simple as that. It amazes me how people get trapped in a spiral of negative thinking of sadness and miss out on so much in their life because they simple don’t know that things can be different. The first thing to note here is that your brain has a negative bias. This means for most people they need to put effort into feeling positive and happy. But the benefits are worth it because you get a nice dose of Dopamine which controls your brain’s reward and pleasure centers. Dopamine also regulates emotional responses and motivates us to take action towards things that make us feel rewarded. What this means is once you’ve felt good, you will want to do it more and more. This can be as simple as wanting a new colour hair or a different hairstyle to something like wanting cosmetic surgery. If you really hate something about the way you look then sometimes it’s not the way you look at all but your thoughts. I’ve actually had quite a few clients in my Hypnotherapy practice who don’t like the way they look and we’ve done what I call ‘work of the self’ to increase self-confidence and self-esteem. After this change work, the way they look is less of an issue. The trouble seems to be that the easiest way to judge someone is how they look and society supports this and people can wind up feeling inferior for absolutely no reason. The biggest issue for people not liking the way they look seems to be if they feel they are overweight. But losing weight is hard for many and they need support. Hypnotherapy for weight loss really is the easiest way because it doesn’t mean another ‘diet’. Hypnotherapy for weight loss means you make healthier choices automatically and reasons you might comfort eat for emotional reasons are addressed. you also have the added benefit of motivation and increased confidence being built in. There are things you want to move away from…. It’s quite unusual to meet a smoker who likes smoking and how it makes them feel and who wouldn’t give up if they felt it would be easy. Giving up smoking with Hypnotherapy is much easier than going it alone. In the stop smoking technique that I use I combine three techniques so it is very effective. If you suffer from anxiety it can rule your life. Anxiety can vary from being nervous about driving, leaving the house, going to be particular places or being in certain situations. Anxiety can be triggered by not much more than a thought or smell. The most common cause of anxiety is stress. Stress can lead to anxiety symptoms, and anxiety can make stress worse. This can be a bit of a shock to someone who has never suffered from either before and finds themselves suffering from headache, dry mouth, dizziness, and sweating. These symptoms can come on at any time even when most unexpected and even result in panic attacks. People offer suffer in silence but could benefit quickly and easily from the right treatment. And there are things you want to move towards…..
Do you say or think you want change but not do anything about it? 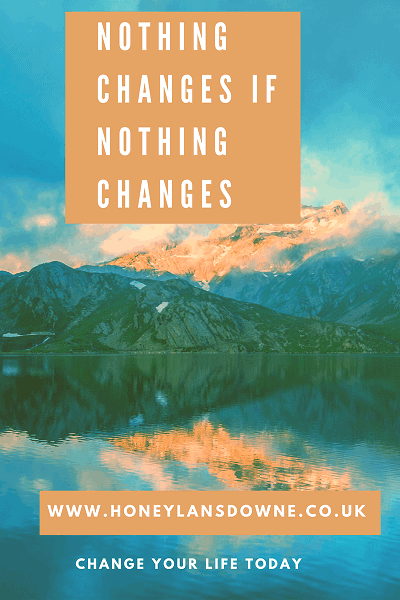 Do you see others around you making changes and feel envious but if you looked at it objectively you could see that they changed because they put the effort, energy and financial investment in to make that change happen? for example if you live in a flat and this makes you unhappy because you would rather have a house are you prepared to get a new job or change your lifestyle to take on the extra responsibility and make that happen? If you really want more money you might need to get a new job or relocate or retrain to find a new job. This means you will need to invest in yourself. Sometimes people are held back by fear and benefit from a confidence boost Hypnotherapy session to help them make changes, take exams or brave an interview. Fear and lack of clear direction and goal setting hold a lot of people back from reaching their true potential. What’s amazing about the unconcious mind is that it knows what you really want (even you don’t!). Some of the things that become apparent during Hypnotherapy and coaching can be life changing for people. They realise they are not living the life they really want to or not doing the hobby they would really love. Bring on the ballroom dancing! Happiness is so different for every single person. Some people need to be around people and others needs to be around books! some people will have materialistic aspirations other don’t care about that. Some people will get joy from their dog and others from making up a new recipe. The point is… a lot of people don’t understand themselves well enough to know what makes them intrinsically happy. ‘Work of the self’, that is exploring inner feelings and drivers, knowing your values and identity is the key to the door to your happiness. Your ‘what I want to change’ list.